NBC had a crazy year this past season with a strong start in the fall, a disastrous winter and a slight recovery in the spring. However, most of the success was due to The Voice and the network cancelled a ton of its new shows from last season except for Revolution and Chicago Fire. 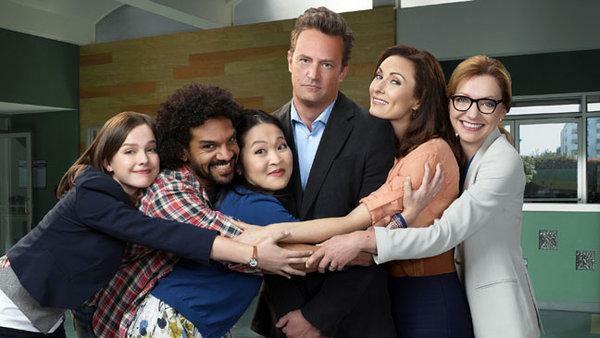 That meant buh bye to the fantastic The New Normal plus Matthew Perry’s Go On, Deception, 1600 Penn, Animal Practice, Do No Harm, and Guys With Kids. But the network also dumped my favorite guilty pleasure Smash along with sophomores Whitney, and Up All Night. It was also the final season for 30 Rock and The Office. So, essentially NBC only has two returning sitcoms, Parks and Recreation and Community (for a final 13 episode season), the least it’s had in years. So, they are starting from scratch and turning to some big names like Michael J. Fox and Sean Hayes who will both return to the Thursday night comedy block alongside Welcome to the Family and Parenthood. Take a look at the full new schedule below and descriptions of the new shows. Plus for previews of the shows, and more information, head to NBC or TVLine.com. 9 pm SEAN SAVES THE WORLD (A multi-camera comedy starring Emmy winner Sean Hayes as a gay man reconnecting with his 14-year-old daughter and dealing with his hectic work life.) * Judging from the first clips, this looks hilarious and it’s the new show I’m most looking forward to. 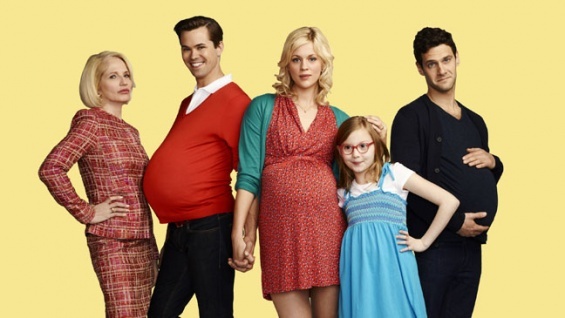 On tap for midseason: the return of Community plus new comedies About a Boy (based on the hit British indie film), The Family Guide, and Undateable. New dramas include Crossbones with John Malkovich, the Chicago Fire spinoff Chicago PD, and the hospital drama The Night Shift. No word on the fate of Hannibal or The Celebrity Apprentice yet. Hey readers, have I got a fun show for you to check out. After my recent appearances on The New Normal, Days of Our Lives and Guys with Kids, another great project I did is coming your way. 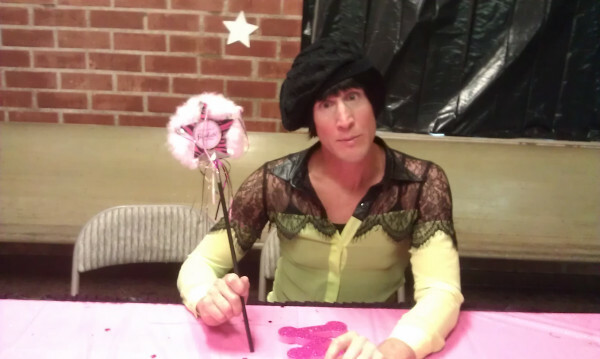 Last summer I worked on a new hilarious web series called Thoroughly Melted Minnie playing a wacky drama teacher throwing a talent show. The main character of the piece Minnie Mugaloo who was recently un-frozen after 50 years or so enters the contest to reclaim her former glory. It’s a riot. The web series was written and created by Conor Fetting-Smith and Annabel Seymour, directed by Smith and features a great cast including Barry Brewer, Christopher May, Aimee Lynn Chadwick, Justin Cone and the wonderful Lizzie Redner as Minnie. Check out all three episodes that are sponsored by Subway at MyDamnChannel now. I’m in the third episode and I have it for you below. Enjoy and seriously, you have NEVER seen me like this. IFC Crossroads House~ 302 E. 6th St.
Shameless Self Promotion~ Catch Me on “Guys With Kids” this Week! It’s only been a week since my hilarious appearance on The New Normal, but I’m back with some more shameless self promotion. This time, I’m talking up my appearance on this week’s Guys With Kids. 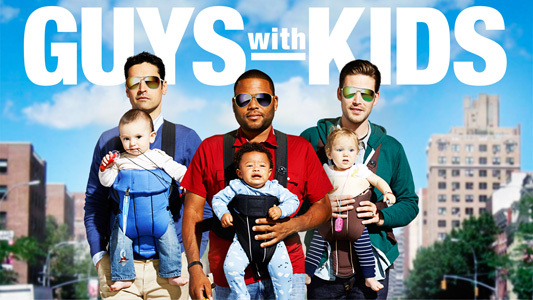 This great new comedy stars Jesse Bradford, Anthony Anderson, and Zach Cregger as rambunctious dads raising their kids despite still behaving like kids themselves. Jamie Lynn-Sigler, Tempest Bledsoe (that’s Vanessa from The Cosby Show people!) and the hysterical Erinn Hayes costar as the women in their lives. The show keeps getting funnier each week and it was a thrill to be a guest on their set for a week. (Big props to my friend, the talented Kenny Schwartz who runs the show too). In this week’s episode, the gang enters a bar trivia contest where they encounter my team, “No Quiziness like Show Quizness”. Fellow guest star, the hilarious Misty Monroe, and I attempt to defeat their team in a serious and super fun game. It’s a really funny episode and it was such a pleasure to work on the Guys With Kids set. Everyone was so nice, welcoming and at the top of their comedy game. Check out the episode this Wednesday night on NBC. Wed night 1/30 at 8:30pm on NBC. 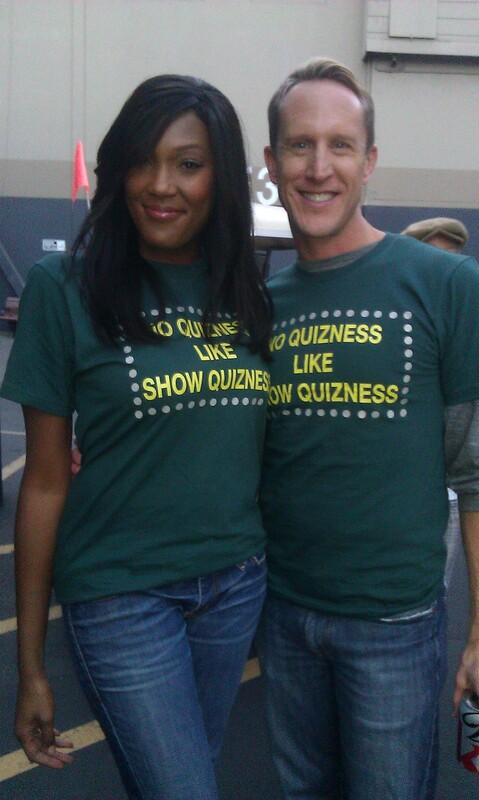 Here’s a pic of me and fellow costar Misty Monroe too. Enjoy! PS- catch me on Days of Our Lives in February too! Well, 2012 is coming to an end today and I just wanted to thank all of you for reading my blog. I really appreciate it and I hope you enjoy it as much as I do! Thanks for a great 2012 and watch for lots more entertainment updates, awards news and predictions, reviews and fun videos in 2013…. And of course, I’ll be updating you with information on my acting/producing projects and appearances as well. Speaking of that, I’ll have info on my appearances on Guys with Kids and Days of Our Lives for ya in the next two weeks, plus Dirty Talk and the things i cannot change are hitting more festivals in January! … So, thanks again for all your support everyone and have a wonderful, fantastic and safe New Year!!! The year is coming to an end fast and that means it’s time for “Best of” lists! I love them and admit it, a lot of you do too… So, in the next few weeks, I will be posting about my favorite music, movies, performances and tv shows from the past year. Now, remember these are just my favorites and I do think most of them are darn great shows. So, with that said, today I start off with my “BEST of TV for 2012”. Enjoy! * and watch for me on the show in a small part in February! Also on the drama side, NBC has added Revolution, Do No Harm and Chicago Fire. Revolution will follow a new fall edition of The Voice which will now air twice a year essentially turning it into a singing version of Dancing with the Stars or Survivor, and thus further reducing the likelihood of ever producing a true music hit maker. (But it can still get good rating for the network that has such a low bar)… Also returning will be the musical drama Smash at midseason (so it can air 18 episodes uninterrupted) along with a newly reconfigured The Biggest Loser.... Cancelled shows include Awake, The Firm, Harry’s Law (boo!!! ), Are You There Chelsea, Bent and Best Friends Forever. For more on the new shows and clips of them, head to TV Line here. And check out NBC’s new fall schedule below.